There are so many tutorials on the net that can teach you how to create something on your own and decorate your home on a budget. The wood is one of the cheapest materials that almost everyone have in the garage or basements. 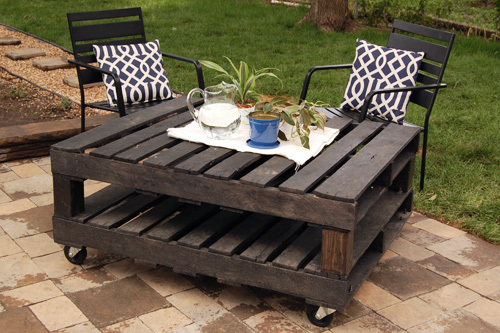 If you were thinking to throw away those wooden pallets that were just taking place, STOP! Yesterday, I made a big research to see how we can use those palettes and the results were magnificent. I didn’t know that I can create a furniture of them, did you? I was surprised when I saw how many options I actually have had and I have had no idea. 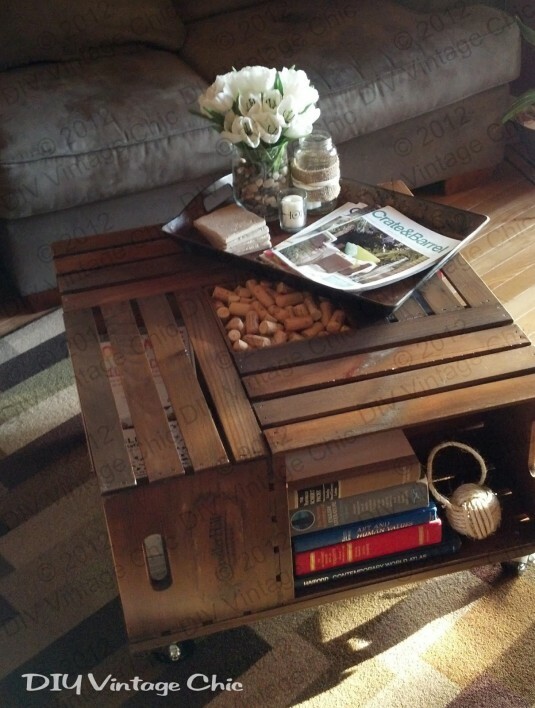 The little palette coffee tables took my breath away, so I needed to share them with you. 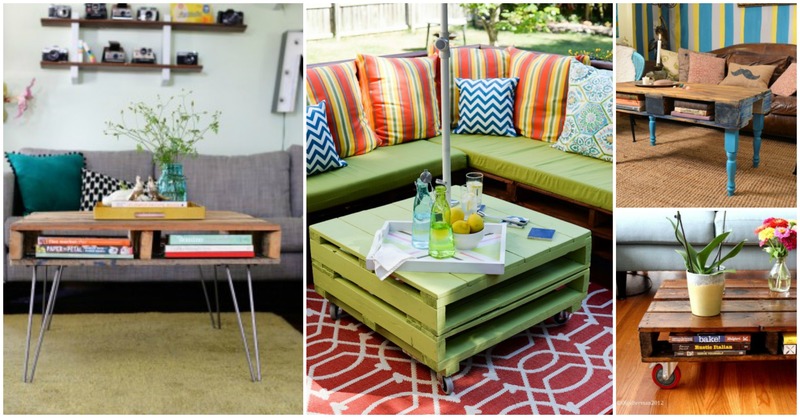 I selected the Top 10 DIY Palette Coffee Tables that you are going to love. Check them out and inspire yourself. You can find the full tutorials under the pictures. Enjoy! Sometimes the coolness of home is not about spending a fortune on expensive decorations, luxury furniture, etc. But, matching the small little things in the right way. 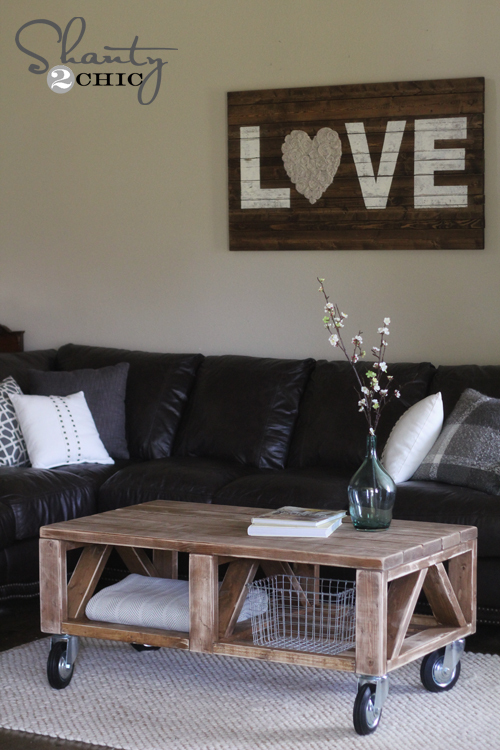 If you didn’t know what to do with the palettes in your garage, then I need to say that it is a perfect time to turn them into a magnificent wall decoration and a coffee table. Both will turn your home into cozy and ultra modern and the picture below is a proof of that. The table below may cost over $500+ in the stores, but why spending money on a new table when you can create the same one at home. All you need are 4 wooden crates. You can paint them in any color you want and decorate them as you want. If you opt for a modern and sophisticated table, then you should definitely take a look at this white coffee table below. 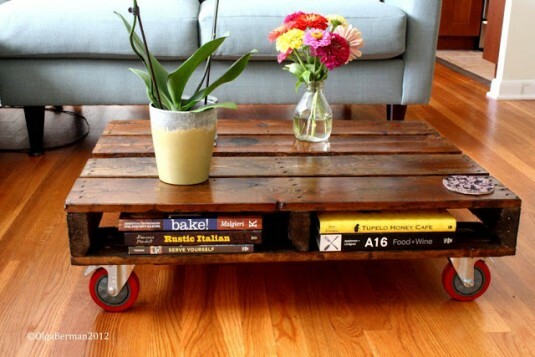 It is made of a palette, glass plate and 4 bolt wheels. The table below is similar to the previous one, but I need to say that is much cheaper, because for this project you don’t need a glass plate. 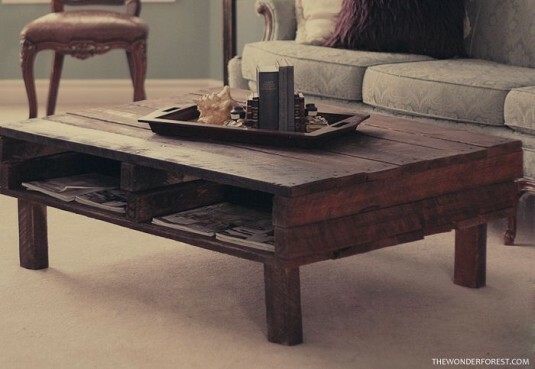 If you were wondering how to create a rustic table for your living room, I need to say that you are on the right place. 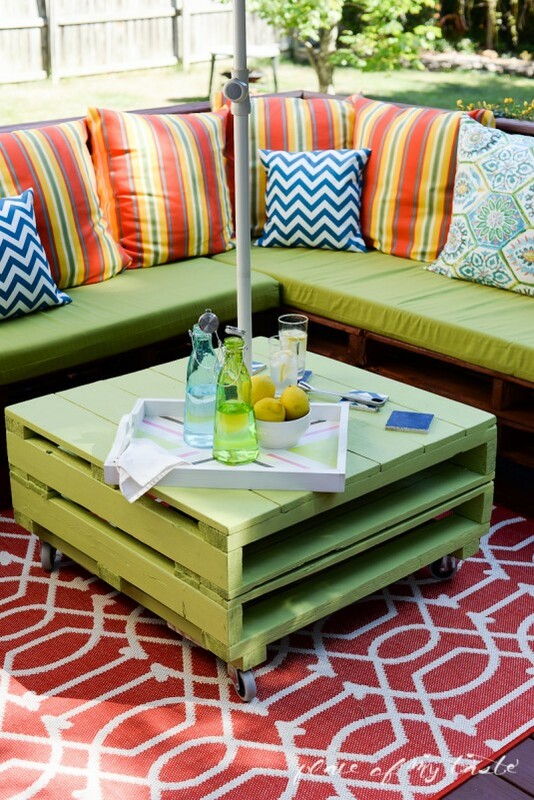 You can choose the color you want to paint the palette top and legs. You can also choose other style of legs that will perfectly fit to your living room decor. The temperatures are up and we can finally spend our free time in the yard, drinking coffee or reading books. If you don’t have outdoor furniture, don’t worry. The project below won’t cost you a lot and I need to say that it looks awesome too. It doesn’t matter how big your balcony is, because you can adapt this kind of table to every balcony. It looks great and it is very easy to create it too. I like the color and I think that it will fit perfectly to my balcony too. 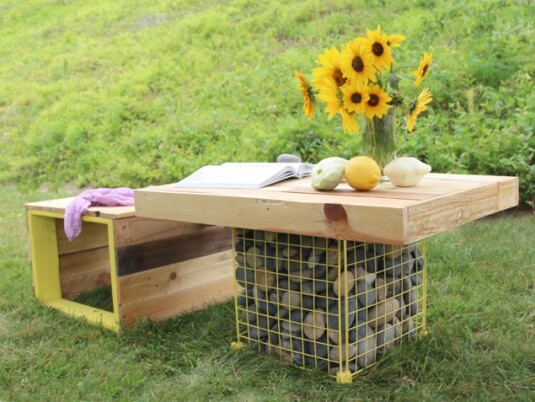 Fantastic project for your backyard. If you have such a space, then this project is perfect for you. You can finally, enjoy your morning coffees in the yard. 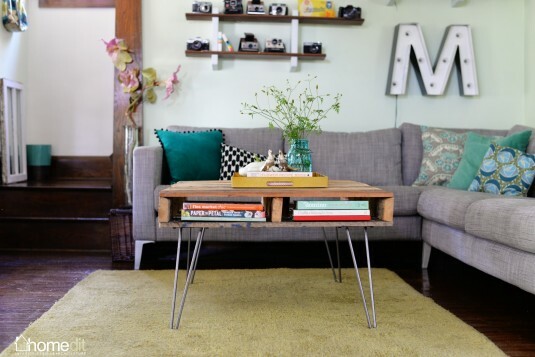 Vintage and modern coffee table for small apartments. 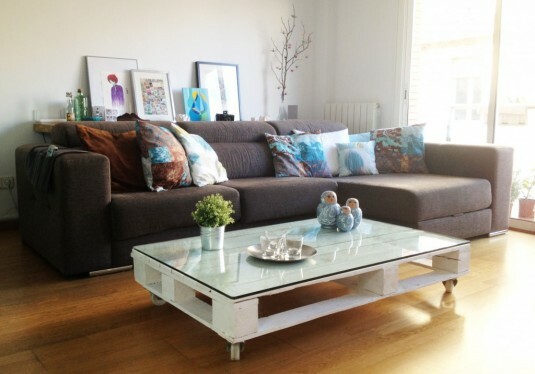 I really like this cute table below, because it makes the living room more cozy and modern. If you were looking for something simple, yet beautiful, then take a look at the project below. 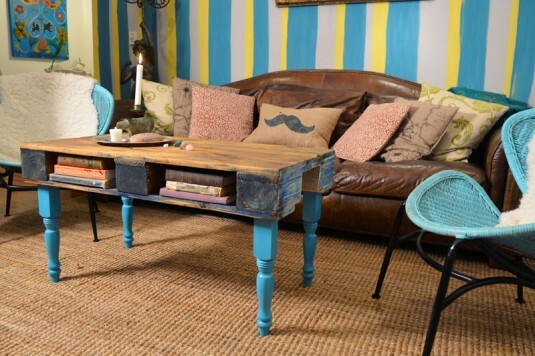 This table with hairpin legs will perfectly fit for every living room. Plus, it looks stunning and modern. Who would not like a table like those above! ?